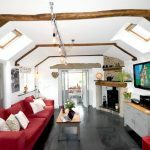 This luxury 5 star Gold self-catering cottage in North Cornwall holds the prestigious Gold tourism award in recognition of exceptional quality and customer service; a rare find among luxury Cornish cottages. Our prices are fully inclusive. There are no hidden charges. One or two small dogs welcome FREE OF CHARGE. Payment by card or cheque. Please scroll down for availability and pricing. Our changeover day is Friday. Although access to the cottage will be available after 4 pm you are welcome to leave luggage with us at an earlier time. If you arrive early you could enjoy a coffee in one of your gardens or head off to the coast. Please use our contact form or phone (01840 261706) for up to date availability. We are usually online from 9 am until 10 pm including weekends. DISCOUNT RATES: The cottage has three bedrooms and sleeps 6 people. During off-peak periods (All weeks with the price of £790) we offer discounts for couples (30% discount for up to 2 people). Please contact us for late availability and short break special rates (minimum 3 nights). When you click “Check Availability” you will be taken to our contact form. Please fill this in and click “Send”. When you click “Book” you will be taken to our booking form. Please fill this in and click “Make Booking”. In both cases the dates will be filled in for you but please edit them if you wish to stay for a longer or shorter period. When you click “Check Availability” you will be taken to our contact form. Please fill this in and click “Send”. Meadowview Cottage sits within its own private and secluded gardens. The advantage over a multi-cottage complex is that your visit will not be spoilt by the noise of other holidaymakers. The cottage has its own private sauna and use of a ROSPA inspected children’s play area. Ample parking for 3 vehicles on a private lane.